Drones are fun and getting more and more popular popular offering amazing possibilities for hobbyists or professionals for a decent price. I was searching for something else than the DJI drones, I just didn’t liked the design and I’m not a big fan of gopro at all. During a trip in Hong Kong I found the Xiro Xplorer V with a pretty attractive price and a free extra battery from 5,000 HKD about 650$. 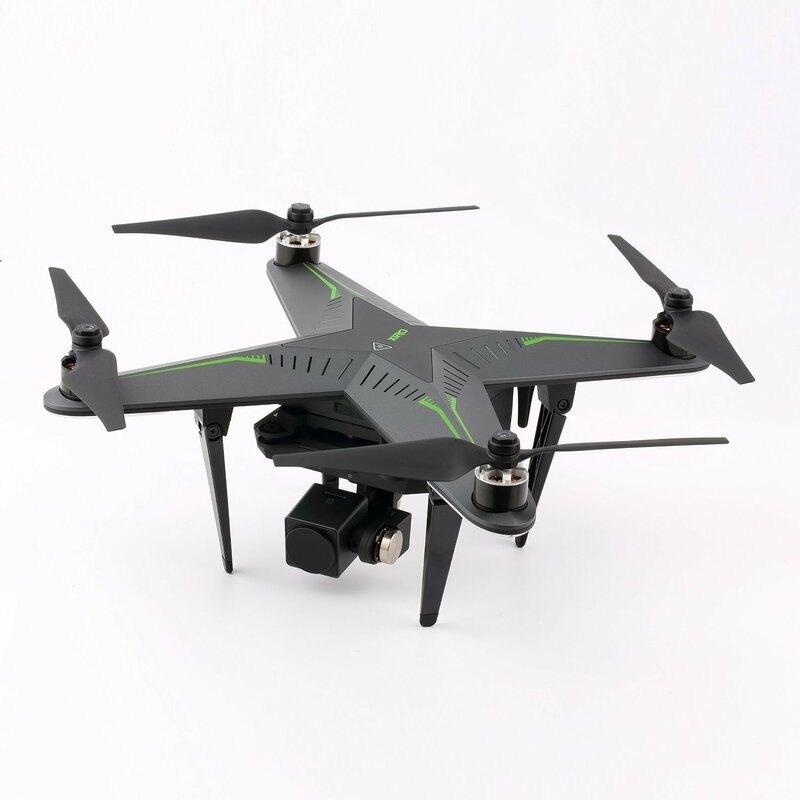 Great design black and green making the drone having this stealth look. On top of that some interesting features like being able to turn off the light at night and the follow me features. The drone was quite easy to fly, bunch of videos are reviewing this drone but they look like more a PR that real usage. After my 5th flight on the sea side I bring the drone back to the shore hovering about 3 meters high then the camera literally detached itself from the UAV, the drone loose power then crashed on the sand while I just stopped recording. I let you imagine the frustration when you see your 650$ toy crashing in front of you without any explanations. I was at least ready to post my second video edit since the memory card was intact. I tried to contact Xiro trying to find out a contact from there website nothing except a QQ (Chinese like AOL) contact. QQ can send and receive only from QQ users. I called none speak english but mandarin only…I had to wait few weeks to go back to Hong Kong with the dead beast in hand. First I returned to the shop, they couldn’t do anything except giving me the address of the official importer of Xiro in Hong Kong: Vim Yield . It was warehouse in a middle of Industrial area in Kwun Tong. I showed up there some nice people listened what happened: I didn’t crash the drone, the battery popout but itself. They asked me few days to inspect the drone, tried to review the logs from the app. 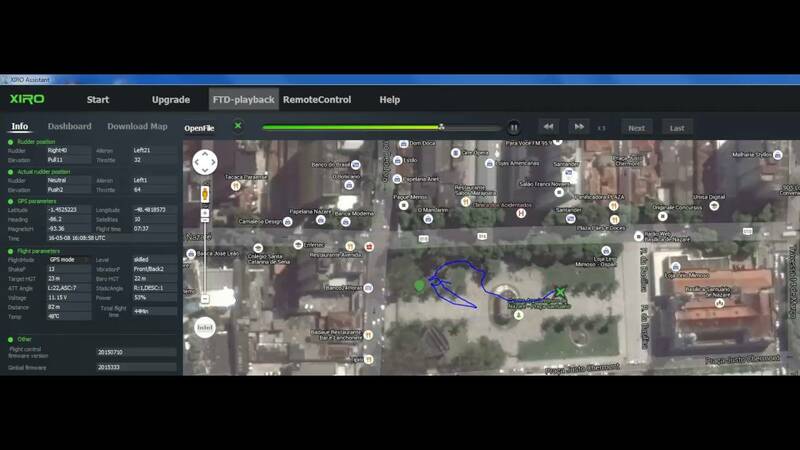 FYI the app logs all tech details from propeller speeds, voltage, GPS path of the flight, altitude etc.. At the time the desktop Xiro app didn’t allow this, only tech could extract the logs from the mobile. Logs are an .hj file format on android and iPhone. After few days, I comeback to their office and the manager and tech were here and said they didn’t find any faults in the drone show a 2930HK$ quotation:370$ is half of the price of the drone for a toy that I used 5 times and crashed by itself. After 30 minutes discussion the manager was kind enough to believe my story and offer 50% discount. I was double double checking all preflight checklist after the next flights. Second flight after the fix, guess what? CRASHED again but itself but this time I was recording! Crash happens at 4:42. The drone crashed but I was happy because I had proof that the drone had an issue. I contacted the company that import Xiro sent them the logs ( that didn’t vanish this time) and the video. They sent the drone to the factory and replaced it with no explanations. The concern is that every new flights were freaking me out, especially if I had to fly above water and my 1 year warranty expiring soon. How nice it that Xiro? Bottom line of the story: Xiro Drone was a great potential challenger for DJI who have 70% market shares. The drone looks cool on the box, but awful support, I can’t imagine if someone was in my situation and living in Europe. Do I fly the drone anymore ? Yes but less and scared to crash it since no more warranty. Will I buy a Xiro Drone in future? Very unlikely, wast of time and money as you can see in that post. Support is a nightmare unless you stay in China or Hong Kong. App: The app runs on Android and iPhone but are inconsistant. They didn’t offer the same feature after several builds, including the Follow Snap feature which detects an object and person and follows it. Xiro got the Reddot award 2016 for the design, real life usage is a very different story. Latest Xiro app on Android 3.1.4 is full of bug and crash in the middle of a flight or while editing a video. I started to search on you tube if I was the only one having those unexplained crash issues, well number of users have the same issues! Xiro drone looked promising in term of price and feature, but I wouldn’t recommend to anyone anymore after this experience. It’s unreliable, customer support awful (unless you are based n Hong Kong), and an app that doesn’t work properly. 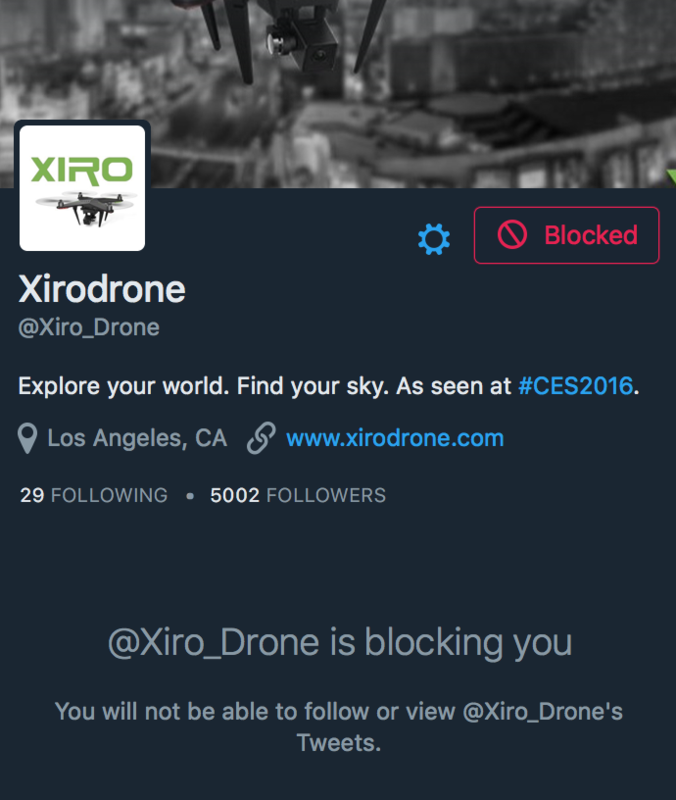 So yes stay away from Xiro drones, the design is cool not the usage.